When you buy a new car, the paperwork process in the finance office can be lengthy, due to the loan documents. Part of what your Melloy Dodge finance manager will review with you in this process will be optional auto service contracts that are available on your vehicle. Auto service contracts typically extend coverage for certain systems in your vehicle beyond the manufacturer’s warranty. While some car buyers might think of a service contract as a warranty, they are separate things. The warranty is what comes with the new vehicle purchase, while a service contract may be purchased at any time. The included Dodge warranty covers 3 years or 36,000 mile basic coverage and 5 years or 60,000 mile limited powertrain coverage. Ram trucks offer 3 years or 36,000 mile basic warranty and 5 years or 100,000 miles limited powertrain coverage. Should a vehicle have a problem with the windshield washer fluid pump after the basic coverage period, for example, the repair of that item no longer falls under the standard warranty, but might be covered under the service contract. Service contracts are optional, and for many buyers, provide peace of mind, particularly since today’s vehicles have so many computerized systems. Whether you decide to purchase a service contract or not will make no difference on your ability to get financing on the vehicle. The cost of the service contract Is based on the vehicle’s make, model, coverage and length of the contract. Most service contracts do require a deductible to be paid, and should specify if that deductible is per visit or per repair. Any exclusions should be spelled out clearly. For example, items that typically need regular parts or maintenance like brakes and clutches are usually not covered, nor are scratches or damage caused by use other than “normal wear and tear”. 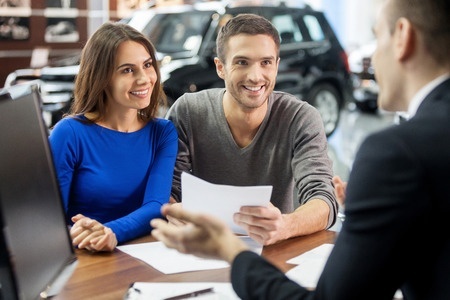 Your Melloy Dodge finance manager can answer your questions about service contracts, and help you consider whether to add this optional product when you purchase your vehicle.